Florida Governor-elect Ron DeSantis released the names of those who will be on his education transition committee. Included is a representative from the textbook-censoring, global warming denying, creationist outfit Florida Citizens Alliance. Just as a reminder, Step Up for Students operates the state’s largest tax credit scholarship program, and the Florida Citizens Alliance has led several efforts to remove textbooks from schools. Donalds led the Constitution Revision Commission effort to create a state charter school authorizer and set school board term limits. Flaugh and his Alliance have been on our radar for several years. 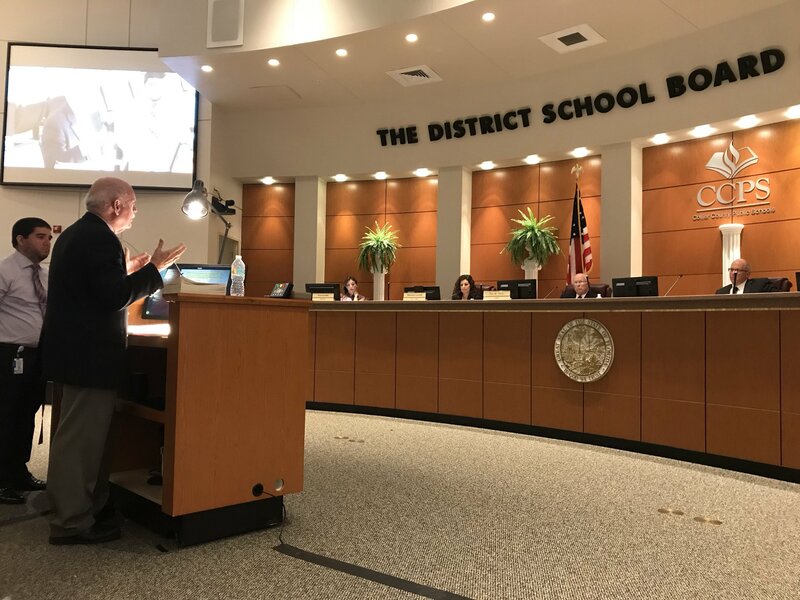 Our most recent clash was when he tried to bully (and I am using the word bully literally) the Collier County school board, with the help of then school board member Donalds, into tossing out a few science textbooks under adoption consideration. Read all about it here: What I did during my summer break, Collier County edition. If it is indeed a “complete review” then I have no doubt that evolution and climate change will be heavily scrutinized in the science standards, especially if Flaugh and Donalds have any role. Add this to the other recent news about who has been chosen to lead the Florida House Education Committee and who has won reelection to the Florida legislature: It’s Going to be Ugly. Strap in. The next few years are going to be a wild ride.